With over 10 years in business, AM Tree Service is your local full service year round tree care provider for the greater Worth area. We provide services for all of your commercial and residential tree removal, tree pruning, tree trimming, stump grinding, lot clearing, shrub and 24/7 emergency service needs. We are licensed, insured and bonded for your safety and the safety of our employees. We are owner operated and have a certified arborist on site for every job. We are more than happy to come by for a no hassle no guarantee free estimate. Arborgreen Tree Service has serviced the greater Chicago area for all of its tree care needs for over 15 years. Our owner/operator and certified arborist Leo has the training, knowledge and experience to handle all of your commercial and residential tree care needs. We have cutting edge equipment and the aerial lifts to help us safely and efficiently get to all of your tree service needs. No tree is too large or too difficult for our training and equipment. We have a great track record for customer satisfaction and would be more than happy to come by for a free estimate. We also offer the best local firewood year round. B. Haney & Sons has serviced the greater Chicagoland area since the 1940's. For over 70 years, our family has provided a customer satisfaction based service that is now in its fourth generation. We have certified arborists on staff to ensure your tree care needs are done properly and efficiently. Our family has dedicated ourselves to supporting our community and keeping our trees healthy and beautiful. We'd love to come by and show you why we have been Chicagoland's #1 tree care provider for over 7 decades. Bluders Tree & Landscaping Service is your local family owned and operated full service tree care and landscaping provider for the greater Chicagoland area. We provide a professional and courteous service for a price that fits within your budget. Our certified arborists and tree specialists have the training and experience to handle all of your commercial and residential tree care and landscaping needs. 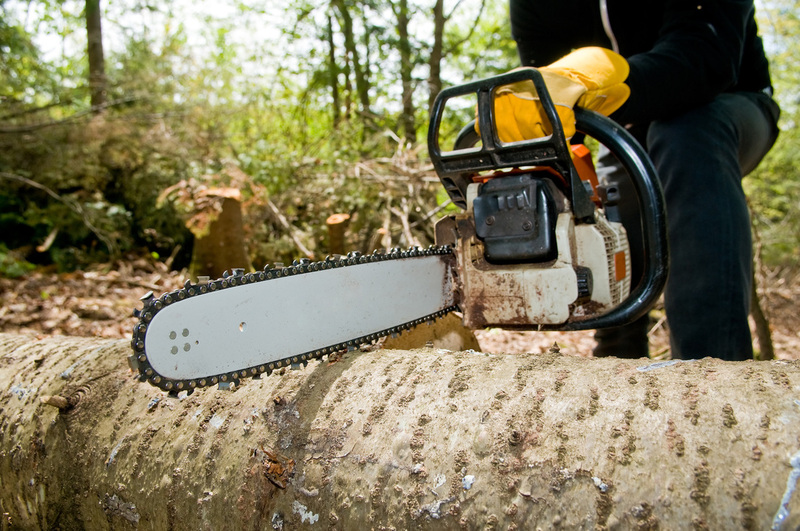 We have the equipment to handle everything from hazardous tree removals to specialized pruning and landscape maintenance. We are more than happy to come by for a free estimate. County Tree Service is the premier tree care provider for the greater metro Chicago area. Serving our community for over 25 years, we have built a great reputation for customer satisfaction and high quality work. We are specialized in emergency hazardous tree removals and are uniquely trained to properly handle emergency service. We use a variety of equipment and techniques to handle all of your tree service needs. Our crews are trained to get the job done right. We are more than happy to come by for a free estimate and the opportunity to show you why we have a great reputation within our community. Dawsons Tree Service is your local specialized full service tree care provider for the greater Elmhurst area. We have built a great reputation within our community and with our customers since we started in 1995. Over 80% of our work comes from long lasting relationships we have forged with our high quality work, attention to detail and customer service. We pride ourselves on addressing your needs and working with our arborists to efficiently get the work done. Our primary goals are our safety and of your property and to exceed your expectations. We have the equipment and training to handle all of your needs- no matter how large or small. Give us a call for an easy free estimate. Good Brothers Landscaping & Design has serviced the greater Chicagoland area for its tree service and landscaping needs since 2006. We are family owned and operated and are committed to customer satisfaction. We offer all tree services as well as custom landscape design, seeding, sodding, retaining walls, and commercial landscaping maintenance. We also offer emergency storm cleanup services. We are quickly gaining a great track record in the community and would love the opportunity to come by for a free estimate. Give us a call today. Progressive Tree Service has worked tirelessly since it began doing business in 2014, to give the highest quality tree service work at a fair price. At Progressive Tree Service we put integrity and reliable above all else. Please give us a call today for all of your tree removal and tree service needs in the greater Chicago area. Crosstown Tree Service pledges the best quality tree removal services in Chicago. Established in 1995, This family run and operated business can do all types of tree service including tree pruning and trimming, tree removal, tree planting, and fertilizing and treatment. Call Amos and his family today to get the very best tree removal company around! Mike and his son have owned and operated U.S Tree Service in Chicago since 2003. With a professionally experienced crew, we can do any tree service job you need. As a small family owned business, your satisfaction is of the utmost importance to us. Please call us today for all of your Chicago area tree removal needs! It's important to only work with fully licensed and insured contractors in Chicago. Chicago tree removal cost is one of the most important factors for customers looking to hire. Want to let customers know you are a top ranked Chicago tree removal contractor?